Which Christmas Drink Should You Make? Is your drink a showstopper? Is there a good chance everyone will enjoy it? Do you need a special glass for it? Is your drink Naughty or Nice? Shake and pour into martini glass. Rim with cocoa powder and cayenne pepper, and top with sweet whipped cream. Mix, then garnish with a sprig of rosemary! Try a splash of pomegranate liqueur for a colorful twist. Whisk in saucepan over medium heat. Top with peppermint whipped cream, boozy marshmallows, or a candy cane if desired. Mix it up in your favorite cup and sprinkle with grated nutmeg. Place butter, sugar, and cinnamon in a mug or coffee glass. Muddle, then pour in rum and hot water. Stir. Top with another pat of butter if you wish! Divide all ingredients between two glasses. Pipe the whipped cream onto each drink. 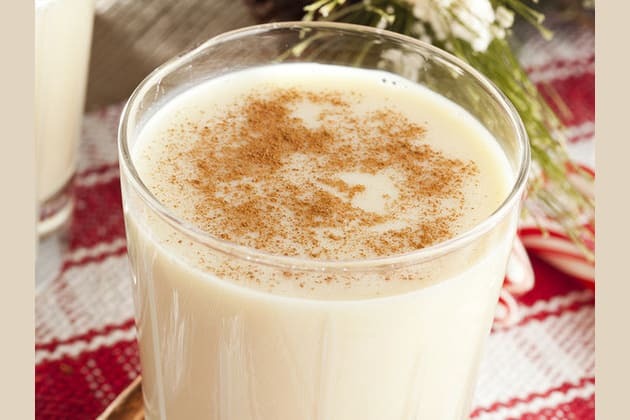 Are you craving traditional eggnog or something more festive?